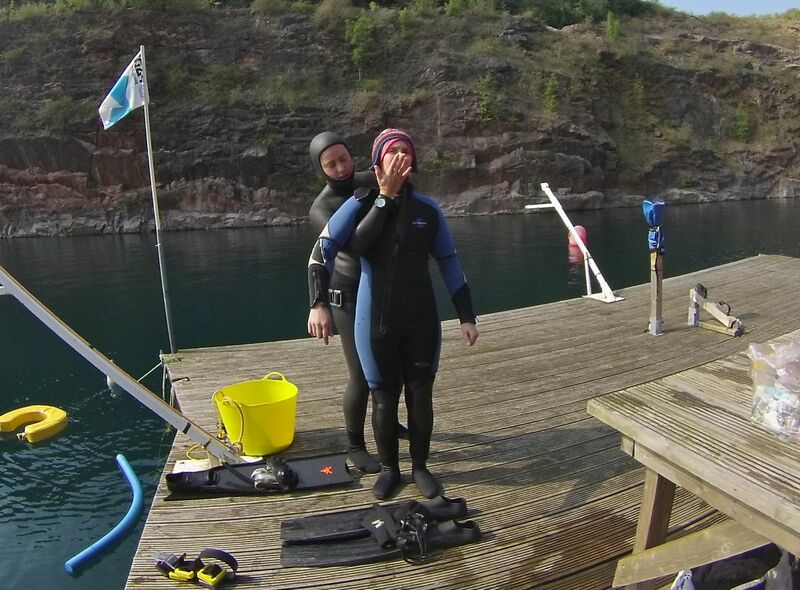 As part of my AIDA 2 star Freediving course, I headed over to the Chepstow Quarry for my first taste of open-water freediving. I had previously passed a days course in the pool with Rebecca Coales, who was also my trainer for the day at the quarry. 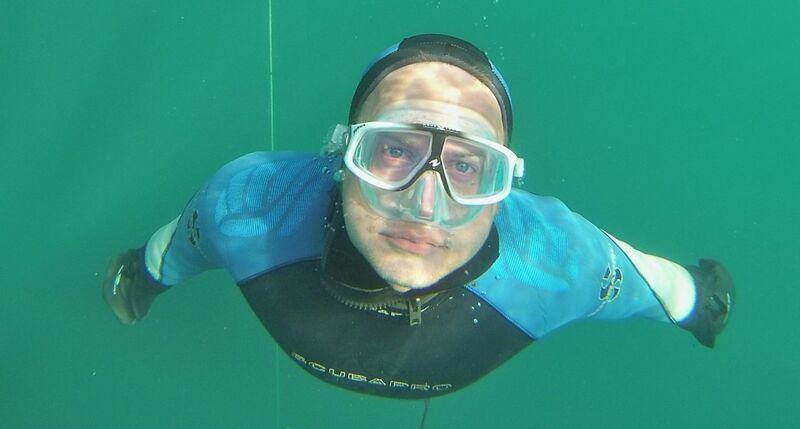 Now before you read any further, just to clarify that I am not going to cover exact techniques on how to learn to Freedive, or on equalising techniques as freediving can be very dangerous if not trained properly. Giving you this kind of information would be irresponsible. Instead I just want to share my experience and interest in the sport. 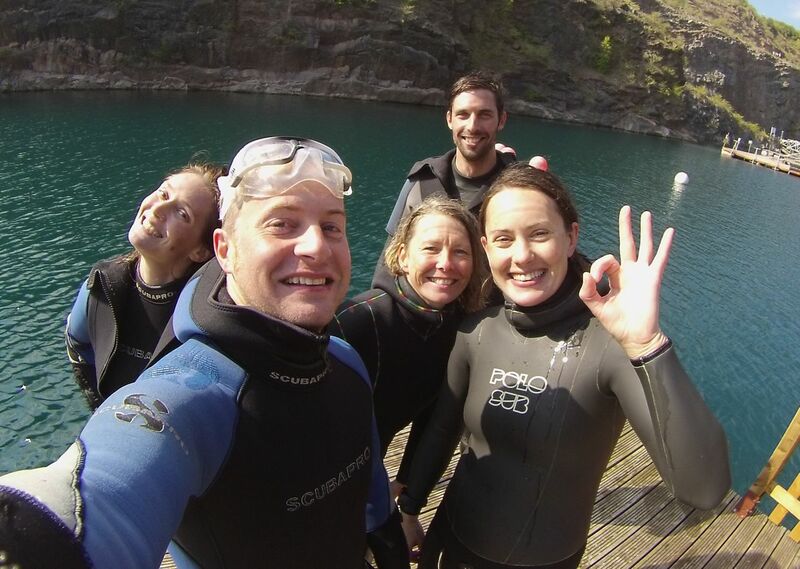 After arriving at the quarry and getting our amazingly thick wetsuits for the day, we had a quick cuppa and introduction to what we would be doing during the day. I was really excited about getting in the water, and putting what we had learnt previously in the pool session into practice. But as we arrived on the floating platform and looked down in to the very clear depths of the lake, I have to admit the nerves started to jangle! 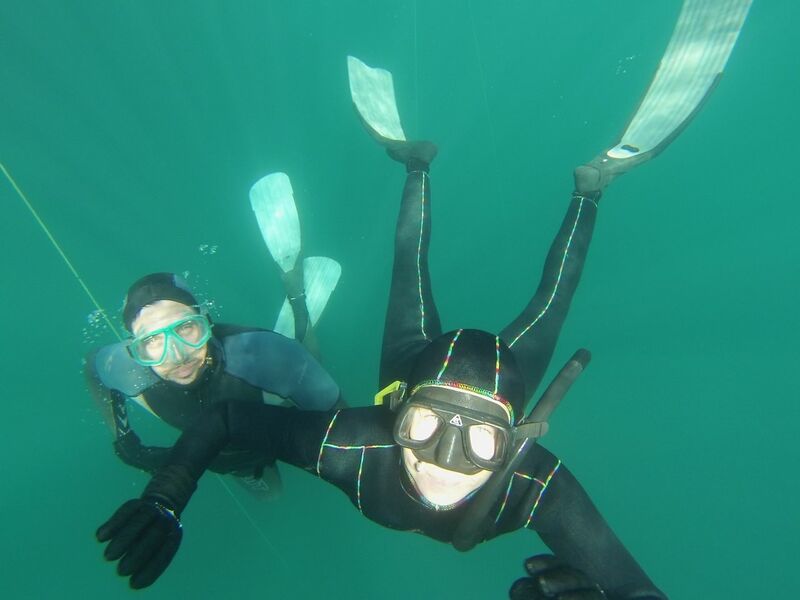 As all freedivers do, you start with a relaxing and breathing session, to get the heart rate down, which was also helpful in calming my nerves a little. Feeling relaxed we looked at the line, which dropped straight down for a distance of 16 metres. We were also shown the lanyard setup and talked through how we would be using it during the day, and what depth we needed to reach in full control to pass the course. 16 metres seemed like a big ask but Rebecca was full of confidence in us, and it was rubbing off onto the group. We warmed up with a few shorter dives, testing out our techniques and concentrating on equalising. I had a few issues with this and it was definitely the area I needed to work on. We took it in turns to buddy up too, which was great. 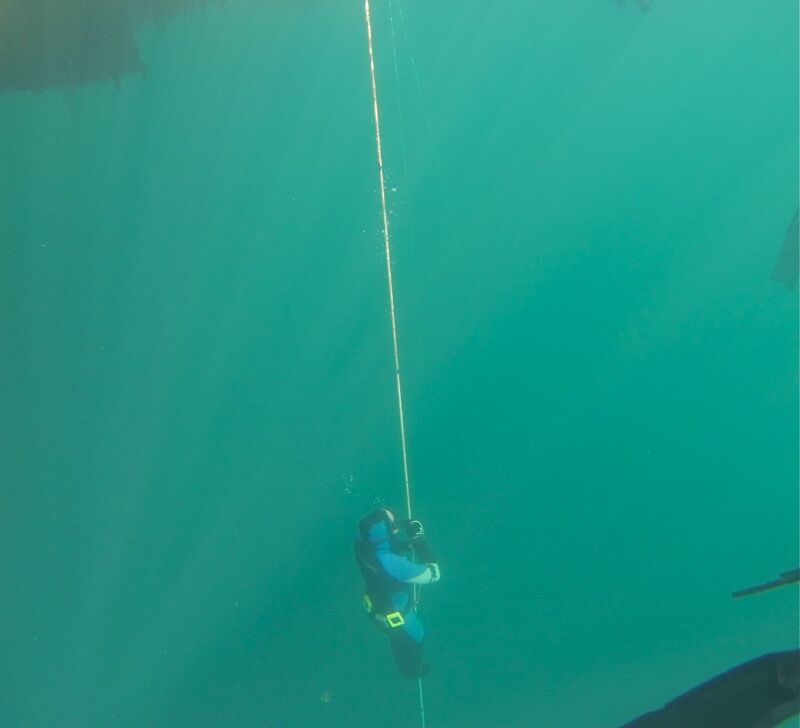 It allowed us to practice supporting another diver and use the rescue techniques we had learnt. This was all building our confidence up, so when it came to the measured distance part of the course, a few managed it with ease. I, on the other hand had problems once again equalising and going head first, so opted to practice going feet first. This really worked for me and I soon reached around 10m. It doesn’t sound a lot, but for the first time in open water it was a huge achievement for me. Its a surreal feeling being deep down in the water with just a lung full of air, ok so you have to fight the urge to breath and stay in control, but there is a strange feeling of peace down there, It’s just you and the water, a feeling I have never really had before. Equalising was causing me a few issues, but maybe some of it was down to confidence on my own ability to breath-hold, and I wasn’t the only one. With practice however I feel really confident I can achieve the depth of 16 metres, and I’m really looking forward to getting back in to open water. Some of the guys in our group achieved the depth, and in a controlled manner, so passed the course. But although a few of us didn’t, it was amazing to be part of other success and achieve so much!